From the heart of Swaziland — a small African nation ruled by a monarchy — Regent University School of Business alumna Naomi Chitambira ’17 has been busy drawing together a diverse group of leaders to affect a change for more than just her own nation. This summer, senior leaders, executives, and middle management professionals from various organizations and businesses attended The Executive Leadership Forum (TELF) in Malawi — a conference that provides attendees training on how to become better managers, team coaches, and, most importantly, leaders. Chitambira works as a leadership consultant along with her husband. 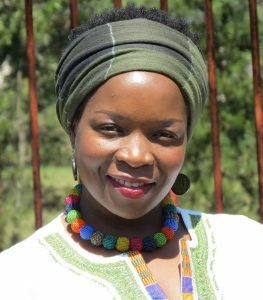 She first started hosting TELF in Swaziland in 2016. The two-day summit includes speakers, workshops, and breakout sessions on leadership and coaching both teams and individuals. “The most valued [aspect] of the summit is the practical application: that you don’t go motivated and only inspired, but you go equipped to apply [principles],” said Chitambira. TELF has also grown each year, and Chitambira hopes to expand from holding it in Swaziland and Malawi to Bostswana and Zimbabwe as well. She considers new organizations moving into Swaziland as a gauge of the effectiveness of leaders in her nation. Coaching different teams, regardless of their size and level of importance to an organization, Chitambira said she drums up inspiration from the simple fact that she has an opportunity to serve. “I felt like I’m being transformed,” Chitambira said. This fall, she’ll return to her studies at Regent in pursuit of a doctorate in strategic leadership.